This kind of snack is influenced by chinese cuisine, which is very popular in many Asian countries, including Vietnam. In northern Vietnam, it is called Banh Ran and southern Vietnam called Banh Cam. The dish is very popular due to the smell of green beans, coconut, sesame and crispy crust made of fragrant rice, which creates a very harmonious taste. 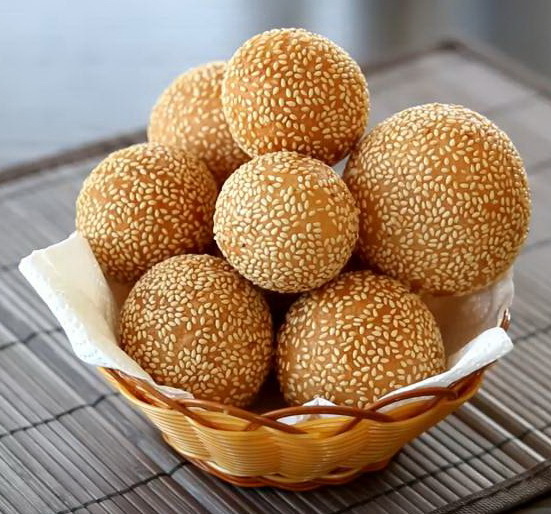 Discover how to make this attractive delicacy, the sesame ball.